What Makes Stephen M. Lasser Uniquely Qualified To Represent You? Stephen M. Lasser is the managing partner of Lasser Law Group. He has focused his practice on real estate as both a litigator and a transactional attorney for approximately 20 years. He acts as legal counsel to developers, lenders, landlords, commercial tenants, cooperatives, condominiums and homeowners associations. Mr. Lasser handles complex real estate acquisitions and finance matters as well as drafting and negotiating commercial leases, construction contracts and vendor agreements for his clients. 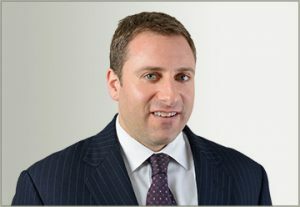 He has also successfully litigated numerous lawsuits covering a wide spectrum of real estate related issues including construction litigation, shareholder disputes, commercial landlord-tenant actions and insurance coverage disputes. Mr. Lasser frequently lectures and writes articles related to his real estate law practice. He is a volunteer at the Monday Night Law Program sponsored by the New York City Bar Association where he provides pro bono counseling on landlord and tenant issues and other real estate matters and also serves as an arbitrator in the Civil Court of the City of New York. In addition, for over a decade he served as the treasurer on the board of directors of the Manhattan cooperative where he resided. Prior to and while earning his law degree in the Evening Division of Brooklyn Law School, Mr. Lasser worked as a property manager for several prominent local real estate developers and management companies. Prior to forming Lasser Law Group, Mr. Lasser was a partner at two prominent East Coast law firms. Outside of the office and courtroom, some of Mr. Lasser’s other passions are football, scuba diving and anything else that puts him in or near the ocean. State of New York, 2002. U.S. District Court for the Eastern District of New York. U.S. District Court for the Northern District of New York. Brooklyn Law School, J.D., 2002. University of Delaware, B.A., 1993. Committee on Condominium and Cooperatives; Construction Law Committee. Construction Law Committee, 2015 – Present; Cooperative and Condominium Law Committee, 2011 – 2014; 2018 – Present. Building & Realty Institute of Westchester. Community Association Institute: Big Apple, Hudson Valley and Long Island Chapters. What Are My Rights for Inheriting a Co-op Apartment? Home » Stephen M. Lasser, Esq.